One of them who changes wallpaper on a regular basis? Cheers! Many of them are here. In this article, I’m covering up those websites with amazing wallpaper collection for Desktop or Mobile devices with every resolution such as 720p, 1080p, 2160p, & in some cases 4320p. Pexels: Free collection of wallpapers for your Android, Mac or Windows with new categories such as Nature, Abstract, People and Landscapes. Browse through it and find amazingly looking wallpapers! UnSplash: Cool collection of wallpaper but wait they got cool features too. The wallpapers here are Free for commercial use, No Attribution required and is copyright free. WOW! Go ahead and use them that too completely free. Zedge: In this website, we get all mixed wallpaper categories with the search option and filter option as well. There are many categories to go with. They have pretty much all sizes wallpaper. WallpaperFX (Retina): Do you know Apple devices with Retina display? They got some coolest and dope retina wallpapers which are soothing to look at. Go and choose one of them. WallpaperCraft: More than 97000 of wallpapers craft on this website. Do I need to tell more about it? Go on and have a look yourself. 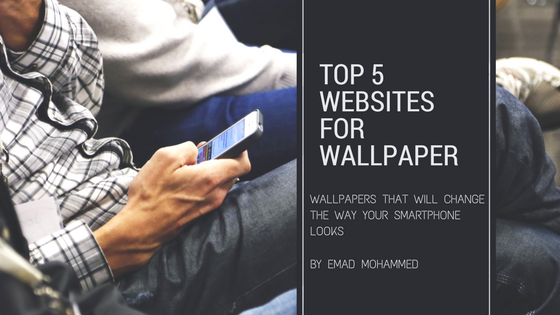 These were the 5 websites where you should be getting the amazing and cool wallpapers. No matter what, there are more other tons of website that offers wallpapers but here are the recommended one. If you like this article, share it with your friend & family and show us some love.